As my visit to the homeland is fast approaching its conclusion, I am faced with the usual conundrum – what to get for loved ones back in Australia. Luckily, this time around, my trip to Bangladesh has introduced me to a variety of top quality foods, all locally produced, sustainably sourced and most importantly, portable. So, for those of you on the lookout for gift ideas, why not give your friends and family overseas a taste of Bengal? Here are my top picks of Bangladeshi gourmet gifts based on quality and portability. North End, Bangladesh’s first and only coffee roaster, is hugely popular amongst local caffeine aficionados. They sell freshly roasted arabica beans from around the world, allowing you to bring into your home the same tantalising smell of freshly brewed coffee that emanates from every North End café. Their signature Hill Tract Blend is the only available source of Bangladeshi grown coffee. 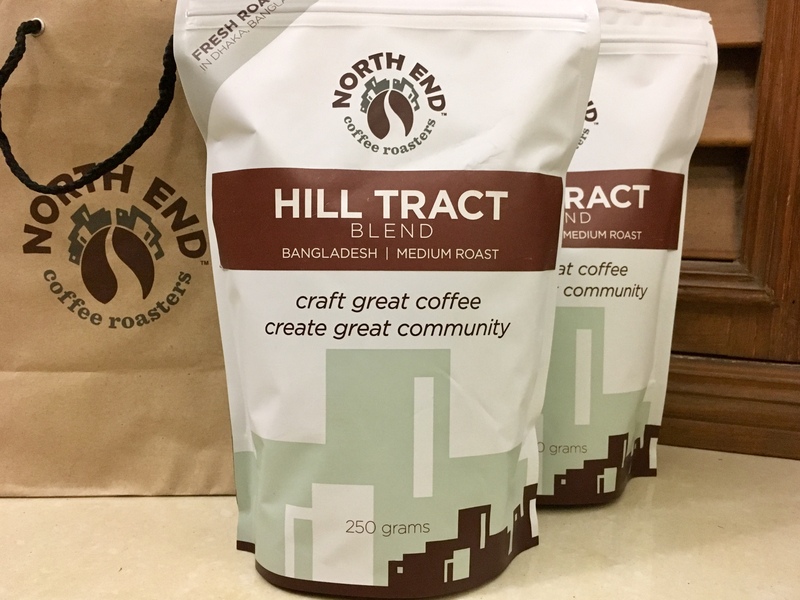 Working in partnership with coffee farmers in the Chittagong Hill Tract region, North End have produced an infusion of locally grown beans with imported ones to create a rich, nutty aroma brought out by the medium roast. North End’s coffee beans are available for sale at all their cafes and at Unimart in Gulshan. Baristas at the cafés will happily grind the coffee according to customer preference. However, note that the limited supply Hill Tract blend runs out quickly, so it’s always worth ringing the roasters to check when they will be roasting a fresh batch. 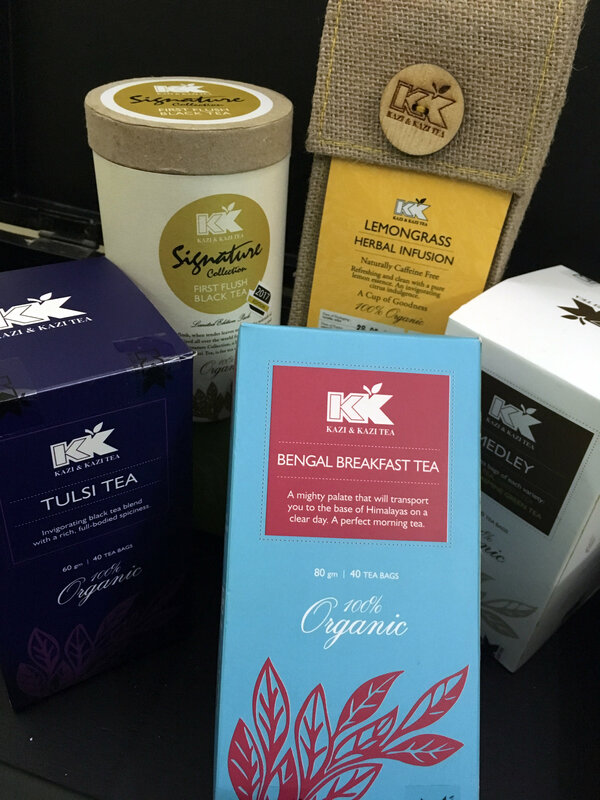 If coffee isn’t quite your cup of tea (pardon the pun), and you’d rather get your caffeine fix elsewhere, Kazi and Kazi (KK) Tea have introduced a fantastic line of organic teas. With tea from their estates in the northernmost tip of Bangladesh, a stone’s throw from the famed Darjeeling tea gardens, KK Tea have created a range unique to Bangladesh. The Bengal Breakfast is a personal favourite. Compared to its English counterpart, the Bengal Breakfast is more robust, with smoky undertones, which when brewed with milk and sugar makes for the perfect tong-er cha (tea brewed in roadside stalls) and instantly transports me to a wintry morning in Bangladesh. KK Tea are also pioneers in introducing the first flush tea to Bangladesh, utilising the young leaves from the first harvest to produce their fragrant signature collection. They also carry an extensive range of herbal infusions, including lemongrass, jasmine green and ginger teas. Their Tulsi Tea is a refreshing composition of their sweet, organic black tea and basil, very delicately balanced and pleasant to the palate. For those who want to sample the breadth of the KK Tea herbal collection, there is an assorted box – the Medley. KK Tea is available at most supermarkets across Dhaka. They call it liquid gold. Harvested once a year in spring from the wild mangroves of the Sunderbans, the mouali (honey hunters) partake in the precarious pursuit of honey collection. Dhaka Dough, a company dedicated to bringing organic, locally produced ingredients to urbanites, has taken the initiative to market this honey for the masses. 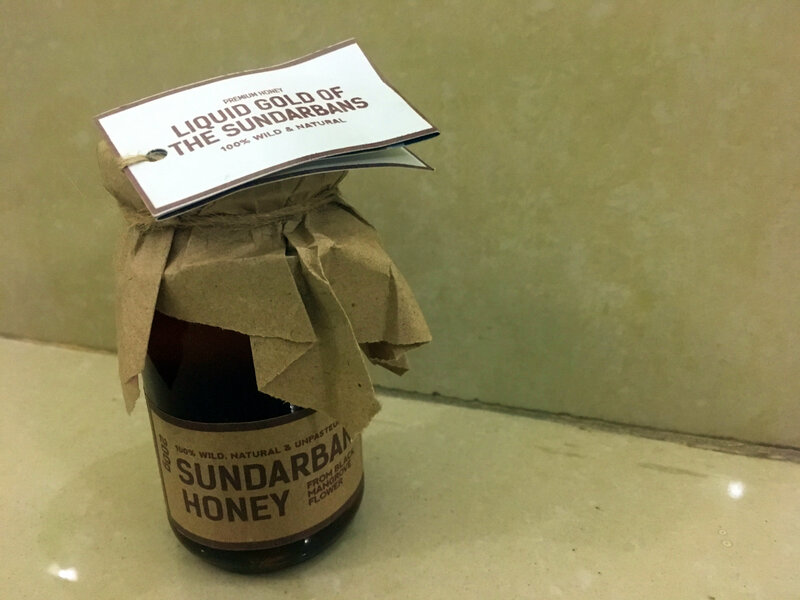 Sunderban honey is as pure as it gets. The organic honey is raw and only undergoes a manual filtration process, resulting in a thin, runny texture. The sweetness too is diluted compared to processed products bought off the shelf. Wild bees collect nectar from the Kholsha (Black Mangrove) flower, which lends the honey a distinctive and delicate floral flavour. 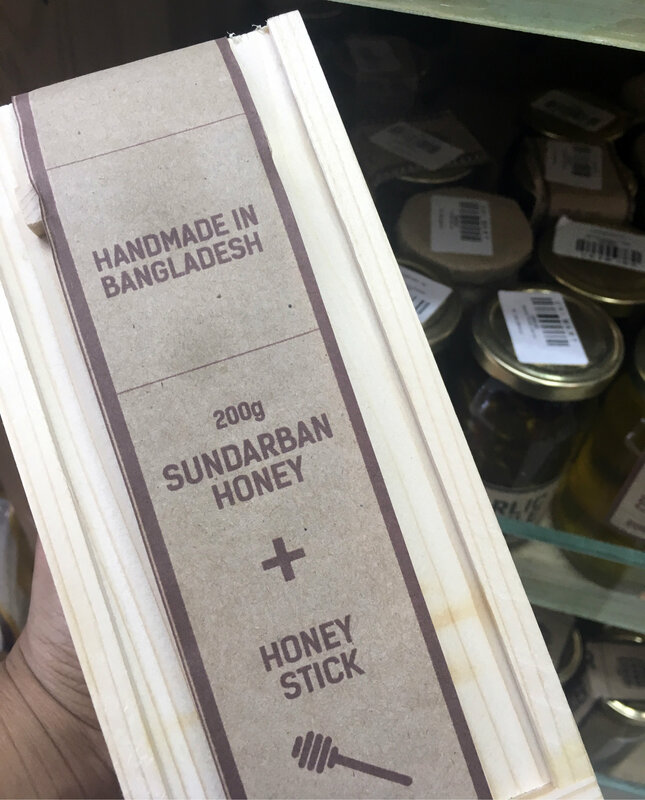 Dhaka Dough’s Sunderban honey is available in a variety of packaging, from small 200g glass jars to beeswax coated wooden containers. They even have a special edition wooden box with a complimentary wooden dipper – perfect for gifts. Dhaka Dough’s Sunderban honey is available at their store in Baridhara, at the supermarket giant Unimart and at selected Coopers’ outlets. Mishti (sweets) is not only an integral part of Bengali cuisine but is also deeply entrenched within the Bengali community and culture. No trip to Bangladesh is complete without sampling some of these sugary delights, and it is perhaps being typically Bengali to share some mishti with friends abroad. 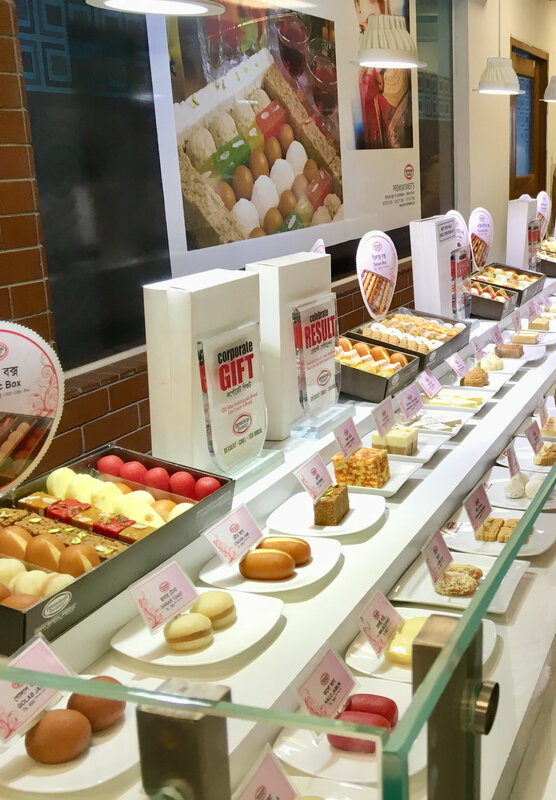 Premium Sweets, with shops across the breadth of Dhaka city, boasts a wide selection of some of the most scrumptious sweets in town. To choose a favourite is no mean feat, so I focus on the dry varieties like borfi, halwa and shondesh that are more likely to survive a long flight. Their orange speckled Carrot Borfi made of carrots mixed with chhana (cottage cheese) and ghee (clarified butter) is fudge-like and decadent. Also using chhana as a core ingredient and gently infused with cardamom, are their crumbly shondesh, which comes in pistachio and gur (molasses), daintily sweetened and melt-in-your-mouth soft. Their vivid, yellow balls of Mihidana Laddu, another Bengali favourite, is simply divine. The moss-green Pesta Halwa, packed with pistachios and dried fruits, make it irresistible.